I don’t understand this toy. They went out of their way to do so very few toys that are not in the movie, and we get this one? 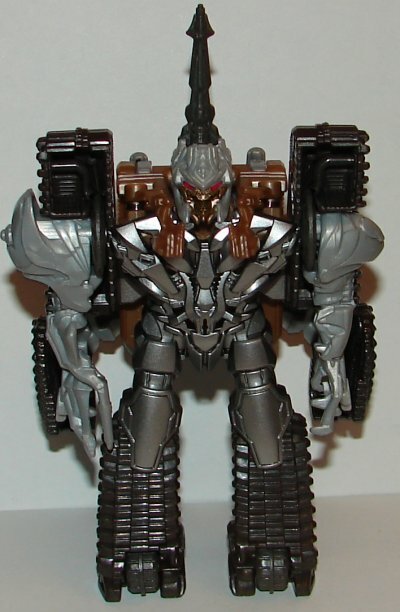 If it was based on Megatron’s Dark of the Moon design, then you could argue that he was in the movie, as we see his head in the lab, which was clearly based on his Dark of the Moon design. 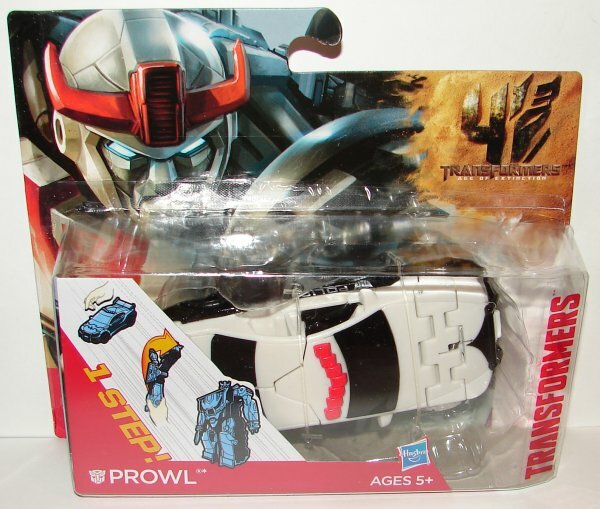 However, this toy is based on his Revenge of the Fallen design, so that makes no sense. Having said all that, it’s a pretty cool toy. 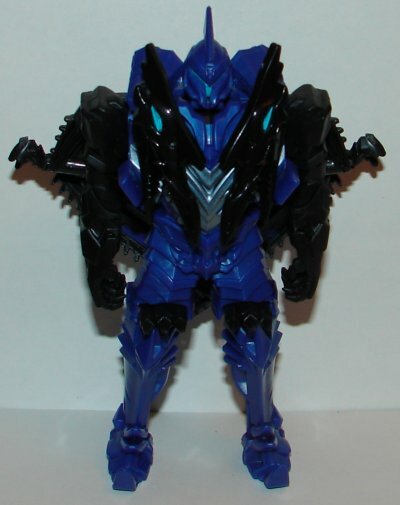 There is not much to his transformation, just a piece on his back that slides and moves some of the panels around. Not bad for a One Step Changer. 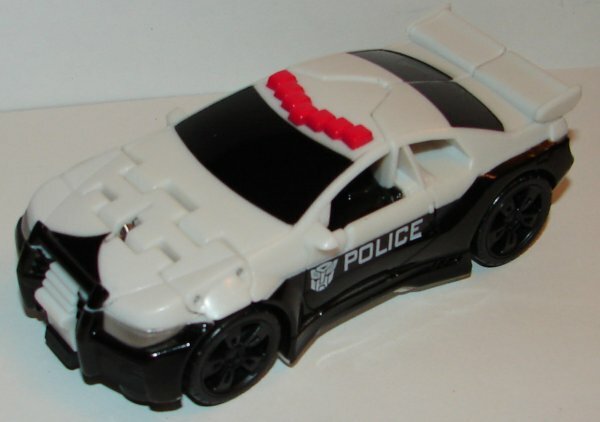 Prowl uses the One Step Changer Drift design, which is the best of all One Step Changer transformations. He looks pretty cool, though the light bar they gave him is a little odd. Never seen one like that. 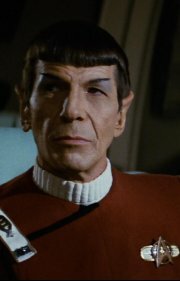 I really like his head sculpt. 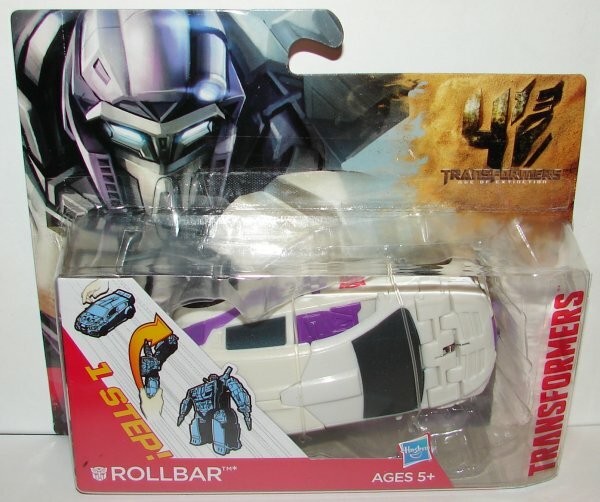 Rollbar also uses Drift’s transformation. 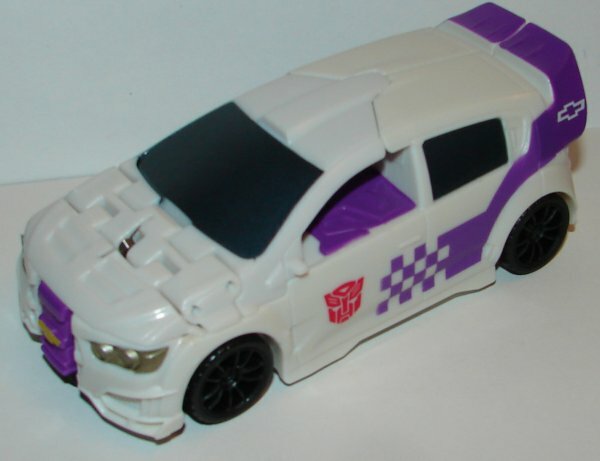 He could have used a few more paint apps in vehicle mode, but he looks really great in robot mode. 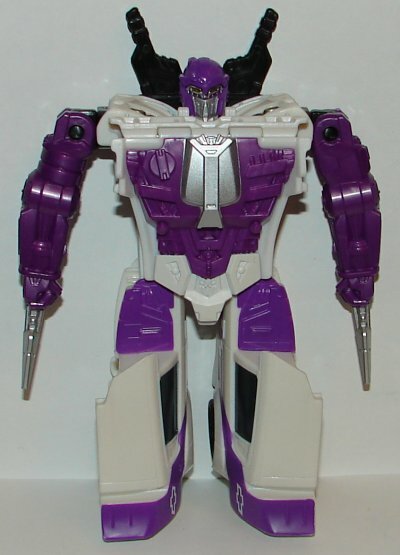 He’s got nice colors and a great head sculpt, though we don’t have anything to compare it to. 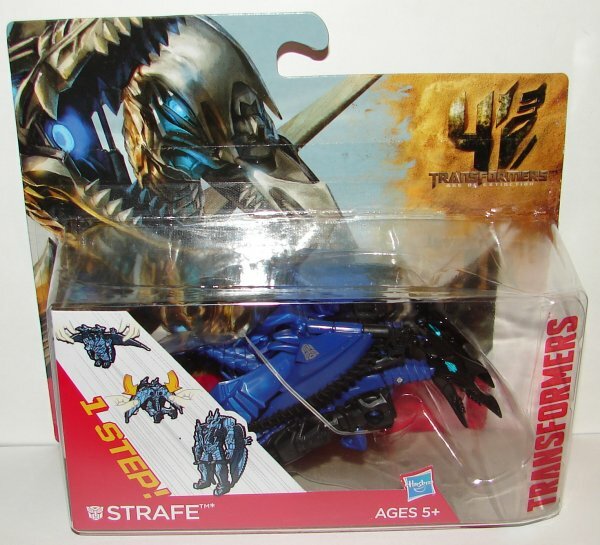 Strafe, as near as I can tell, is a completely unique mold. I really like this one. 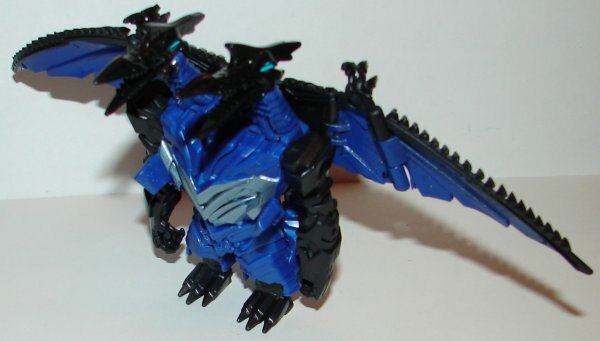 The simplistic transformation aside, he looks awesome in robot mode. 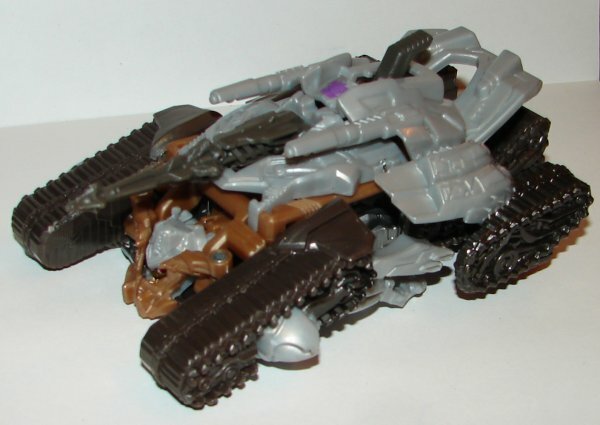 This might be my favorite Strafe toy. I kind of like not having the enormous wings and long tails to deal with. Overall: Not a bad wave overall. They are all worth getting. 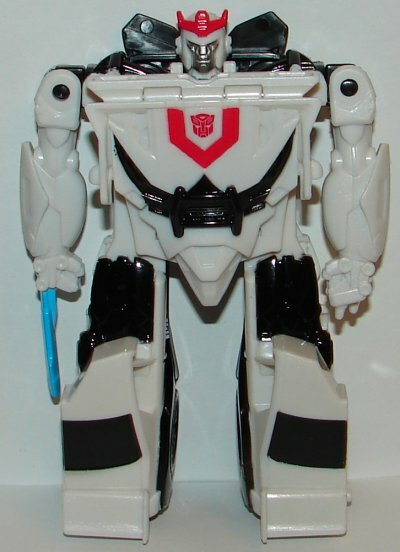 Mercifully, this would seem to be the last of the AOE One Step Changers. 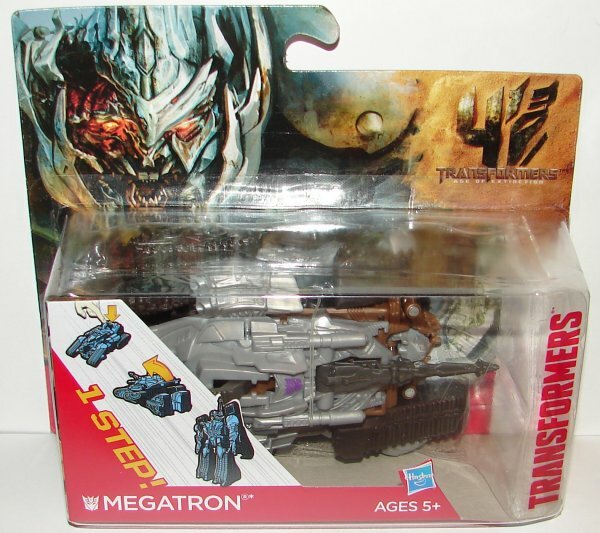 This entry was posted in Toy Reviews, Toys, Transformers and tagged Age of Extinction, AOE, Megatron, One Step Changer, One Step Changers, Prowl, Revenge of the Fallen, Revenge of the Fallen Megatron, Rollbar, Strafe, Toys, Transformers, Transformers: Age of Extinction. Bookmark the permalink.